Now I am a big lover of Jane Austen, the stories she has created are beautiful. But I'm ashamed to say I only know this through watching the adaptations... I don't know about you, but I find it really difficult to get into any of her books, despite knowing that I love the romance, and lives of the characters. I've tried many a time to tackle Pride and Prejudice, Sense and Sensibility and Emma, but I just can't get past the first few chapters. So up until now, the period dramas have had to give me my Jane Austen fill. However, I found a book adaptation of my all time favourite 'Sense and Sensibility'. ITV's adaptation of the novel has always just peaked above Pride and Prejudice on my rating scale (controversial, I know) but despite trying and trying, my book mark makes it little farther than the first 20 pages. 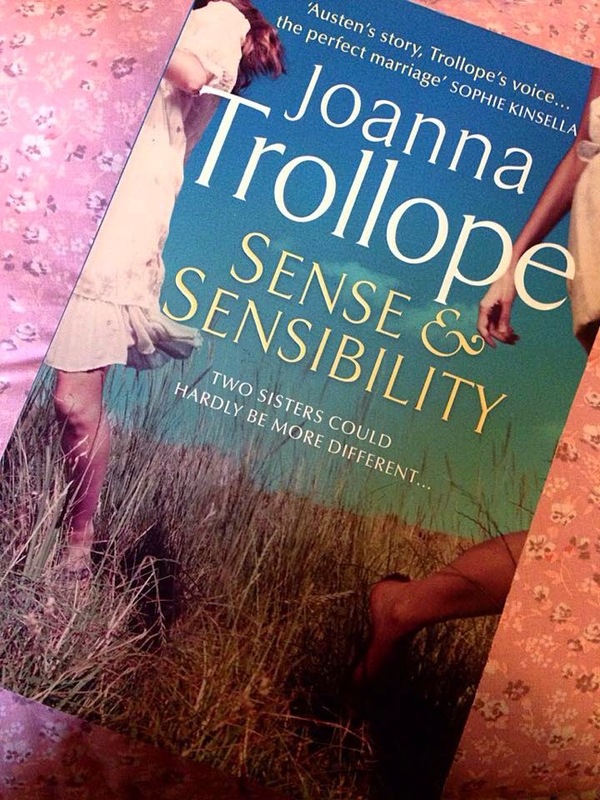 In 2013 Joanna Trollope released her very own novel which follows the classic storyline but with a modern twist. A "contemporary reworking". Now those words had me excited and intrigued, when I was told about it in summer. I only just got round to reading it at Christmas time, and only now have managed to get a blog post up about it, but I fell in love with the story all over again. Ever thought you'd about Marianne Dashword singing to Taylor Swift, or Elinor Dashwood being an architecture student? Me neither.. and before I began reading it, I was a little sceptical. How can this famous love story be rewritten in modern times?! But I bit my tongue and gave it a shot. Following the Jane Austen storyline, Joanna Trollope has included all the same love affairs and romantic moments as in the classic, giving the story familiarity, but turns it on its head at the exact same time. Without reading it, it's hard to imagine how youtube can be inserted so easily into the story, or how Twitter becomes the main source of gossip instead of letters. But having the same problems set in a modern world gives a new perspective to the story. Money problems are more understandable when in reference to the heating or filling up second hand cars with petrol. The way in which Marianne falls in love with Willoughby is so typical of girls my age. And the balls and parties that the girls attend are more familiar with the dancing and alcohol of now a days rather than the routines that are shown in all the period movies. It's so easy to get caught up in all the events that happen in this book, and imagining the scenes in a bustling London or in a modern house. It's not only a book for adults, but is also a great way to introduce teenagers into the world of Austen, without getting confused over the language and description used. I couldn't recommend this book highly enough, such an easy read but with twists and turns after every chapter. You will honestly laugh your way through half of this book, and cry through the other half. Let me know if you've read it before, or if you prefer the classic Austen books? I'm really tempted to try the original again, and see if this one helps in any way. Maybe that can be one to tackle in summer! Its a good fun book though, I really liked it too. This looks really interesting - will have to look for it on Amazon!